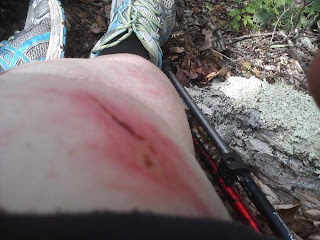 Tussey Mtn hurts. A lot. Just when you start to heal, you get to climb up and over rocks, unhealing yourself. This calls for the healing power of rainbow duct tape.